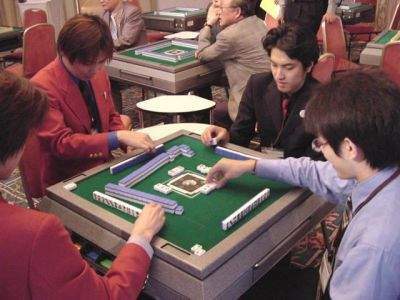 The game moved to a different hall for the 2nd day's competition. 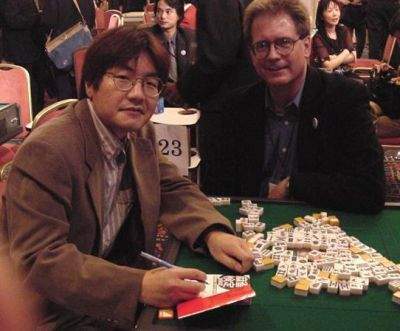 In the foreground: Mr. Shengqi, renowned mah-jongg researcher and author from China (seen again at the 2003 China Majiang Open Championship. 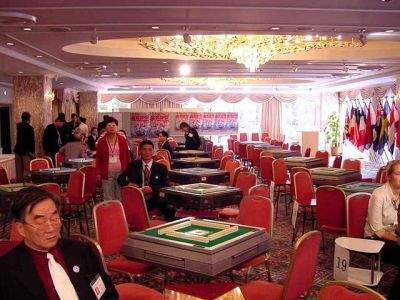 This is the same room where we had the big opening celebration. Looks different in the daytime. Had an interesting hand going. But someone else won that one before I could complete it. During lunch break, one of the American teams got in some practice. 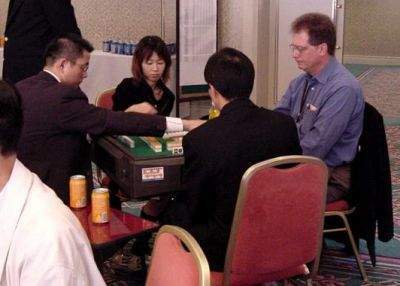 Even the tournament staff had a chance to use a table. 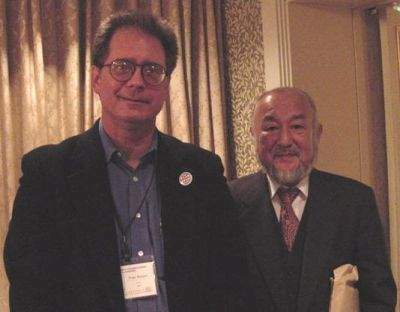 I had met Suzuki-san three years before, at the Mahjong Museum (see my "Mah-Jongg Friends" page), and I was anxious to get a 2nd picture together. Mah-Jongg Writer/Editor Makoto Fukuchi gave me his book, and I asked him to autograph it for me. Like I said, we never passed up a photo op! Especially if Mr. Noguchi could join us. 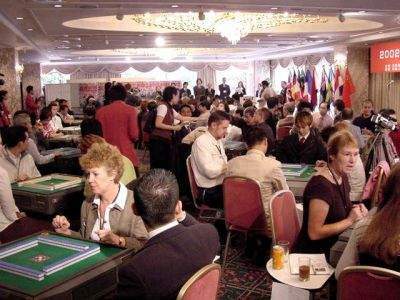 The WCMJ was a multi-faceted event! Click on the links to read the chapters. Friday - WCMJ, Day Two - Play On! Copyright 2002 Tom Sloper. All rights reserved.